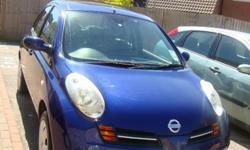 Good exterior condition (only scuffed plastic front corner panel, and very small dent on driver-side door). Excellent interior condition (no pets/smoking). 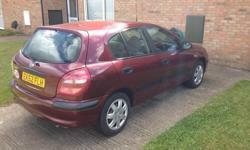 Good condition front tyres; reasonable condition rear tyres. 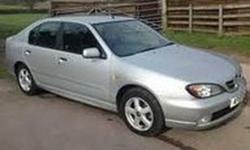 2001, REG, NISSAN PRIMERA 5 DOOR HATCHBACK, AIRCON, C/D PLAYER, SERVICE HISTORY,MINT CAR, LONG MOT.